Opposition demonstration in Caracas C. HERNÁNDEZ / EFE. The opposition in Venezuela has decided to pile the pressure on the government of Nicolás Maduro by calling for today “the largest rally ever in Venezuela and in the history of our continent,” in the words of opposition leader Juan Guaidó, who declared himself interim president two weeks ago. Guaidó has called for early elections and refuses to engage in any dialogue that might give the government any oxygen. He has international support, above all from the United States, the European Union and most South American countries, and is trusting that public pressure will make things intolerable for Maduro. Sunday will see the deadline run out that Spain, Germany and France set for early elections to be called, under the threat of recognising Guaidó as the legitimate president. The tension grows with every protest, and the disturbances that have taken place since January 21 have already left some 40 dead and over 850 arrested, according to UN figures. The latest demonstration will take place at a sensitive moment, as today is the 20th anniversary of the start of Hugo Chávez’s Bolivarian Revolution after his electoral triumph in 1999. 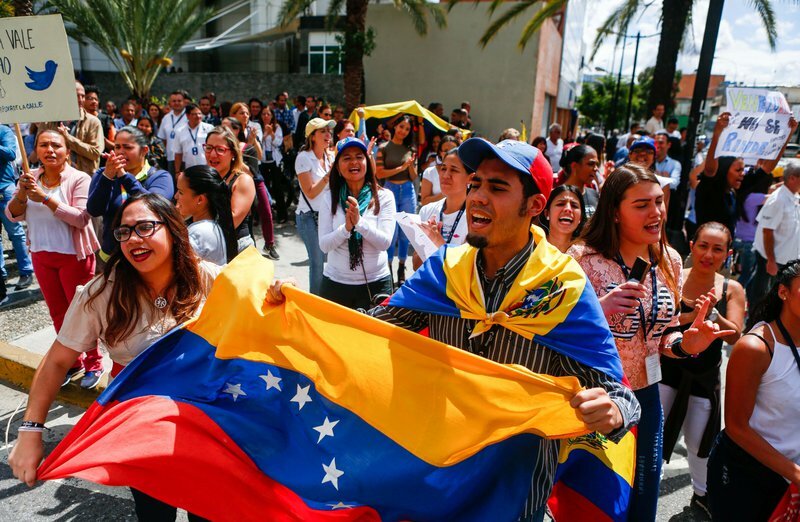 The government has promised to mobilise hundreds of thousands of Venezuelans faithful to Maduro, who will coincide in Caracas with the opposition protesters.